When Thor was announced, we thought of the perfect team to review it. Jackie is a comic nut, and Lauren, while respecting the genre, hasn’t really delved in. This review goes to show that both fans and interested people across the spectrum have something to thoroughly enjoy! Oh my gods of Asgard. I loved it. 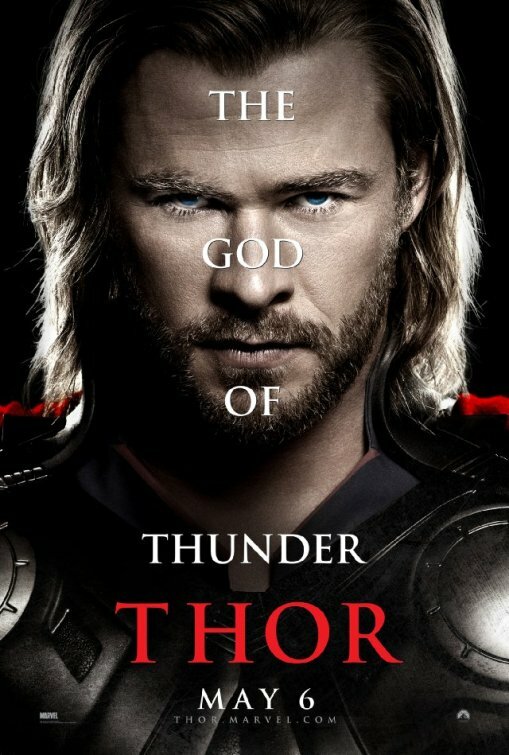 I went into see this movie with unusually high expectations, and Thor did not let me down. This movie was able to take a character that is beloved to comic fans, yet not exactly a household name to most people, and portray him in a way that stayed true to the classic Thor of the books and yet accessible to everyone else. The movie begins with Jane Foster (Natalie Portman) in the middle of nowhere New Mexico where she is conducting irregular weather tracking research in an effort to figure out what she thinks must be a real-live wormhole. This Jane Foster is a bit more updated to the times than the Jane of the early comic years, and I have to say – I like what they did with her. She is working with her assistant, Darcy Lewis, (Kat Dennings) and mentor Dr. Erik Selvig (Stellan Skarsgard), who add spectacular comic relief consistently throughout the movie. The rest of the movie centers upon Thor trying to retrieve Mjolnir (the hammer thing) back and therefore restore his power. Unfortunately for him the American government already found it as is all over that s@!$. Simultaneously, Thor’s amazingly complex brother Loki (Tom Hiddleston) is doing a spectacular job of playing both sides of the war field between the Frost Giants and Asgard. He has also managed shove Odin out of the picture and place his own mischievous rear onto the throne. At this point I have to give credit where it is due to the actors. This movie was 100% spectacularly cast. There was not a single character that felt far from who they are in the comic (which is freaking unheard of in a comic book movie, and usually my biggest pet peeve). But of all the characters, the one who absolutely blew my socks off was Loki. Hiddleston nailed Loki – one part hurting son and brother, one part power-hungry scoundrel, one part just a plain old a-hole. The character felt downright Shakespearian. Of course kudos have to go to Chris Hemsworth as well. He was a spectacular Thor. 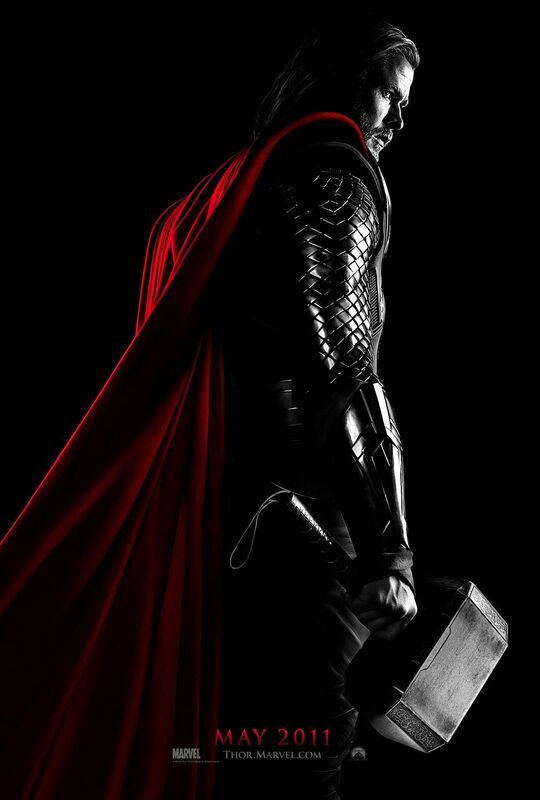 He spat out Thor-like verbiage and passion like it was his second nature. At the same time he was able to keep the movie amusing and light-hearted (and then he took off his shirt. I think I might have blacked out for the next few minutes in awe. I probably missed a few scenes.) The Warriors Three and Lady Sif also added greatly to the depiction of the Asgardian culture. These characters add personality to the comic and the actors all completely fulfilled this role on the big screen. More than anything I liked the subtle jokes and references that only people who knew anything about the comic would get. This includes the reference to Donald Blake (cracked me up and counted for his existence. I thought there not being a Don Blake would annoy me a lot more than it actually did.) This also included the guest appearance of one of my favorite Avengers – Clint Barton. Of course I’ve heard other, not as complimentary, opinions on this movie. I do have criticism here and there as well. The effects were a little over done. I get really annoyed at action scenes that are so fast paced that you can’t even really see anything that is going on. (This is made up for by other spectacular videography such as the rainbow bridge, which I thought was going to look silly and was actually beautiful.) But all in all, it was one of the best comic-based movies I’ve ever seen. Therefore as a fan of Thor I say go see it! It is hard to be friends with a person obsessed with comics and not pick stuff up. So I was surprised, as I watched the movie Thor, how little I actually knew ahead of time. Maybe that was a good thing. I’m not sure how this movie lived up to the comics, the stories that have been written, and characters that have been developed over decades. What I can say that it was a fun, well-written, surprisingly funny flick that was worth every penny to see it in the theater. Ten dollars can buy a few books, if you know where to look, so that‘s saying something coming from me, the girl obsessed with the printed word. Before I dissect the various parts of the movie I enjoyed, I’ll say this upfront. I had no concept of just how amazing Thor’s hammer Mjolnir was! Thinking about him as a superhero in general, hitting people with a big hammer doesn’t seem as cool as radioactive spiders, Gamma rays, or all the other interesting genetic-altering stuff that seems to happen to a lot of beings who are popular. Yeah, I was totally wrong. Seeing him use that weapon was one of my favorite parts of the movie. There were so many different things he could do with it! And seriously, who doesn’t want to fly? It was pretty awesome. The best part of the movie though was Loki. The actor who played him (Tom Hiddleston) did an outstanding job. It took me a while to A) figure out who he was, and B) realize that he’s the bad guy. He wasn’t a two-dimensional character like a lot of villains are, and that really took this movie to a level beyond just summer blockbuster. Loki is the trickster, and it was wonderful how Hiddleston really nailed it. Actually, all in all, I thought there was very realistic and thorough character development, which just added to the movie’s appeal. The dynamic between Chris Hemsworth’s Thor and Natalie Portman’s Jane Foster was also really interesting. It wasn’t a long-developed relationship, but her reactions were spot on (I don’t know a single girl who could be around a man like that without giggling at least once). It was a nice refreshing, realistic take on budding romance, which I found extremely sweet. Probably tied with Loki’s performance, and the character development in general, was the CGI effects. Asgard was sick! The city and the sky in particular were absolutely breathtaking. I thoroughly enjoyed watching the scenes that took place there. All in all, fantastic movie. It really has all the elements that make a fun enjoyable flick, and I definitely recommend it, whether you have any knowledge of Thor or not. I didn’t, and I am all the wiser for seeing this. The Avengers is going to rock, hands down!